The Ellen MacArthur Foundation’s New Plastics Economy initiative takes a step forward when Unilever (London/Rotterdam) unveiled on May 11 plans for a ground-breaking new technology to recycle sachet waste. Developed with the Fraunhofer Institute for Process Engineering and Packaging IVV (Freising, Germany) the CreaSolv Process is inspired by an innovation used to recycle TV sets. Sachets are extremely resource efficient and allow low-income consumers to buy small amounts of products that would otherwise be unaffordable to them. However, without a viable recycling solution, sachet packaging ends up in landfill or as litter. As part of its Sustainable Living Plan, Unilever has long been committed to finding an alternative to throwing sachets away. “Billions of sachets are used once and just thrown away, all over the world, ending up in landfill or in our waterways and oceans,” says David Blanchard, chief R&D officer, Unilever. “At the start of this year we made a commitment to help solve this problem, developing new recycling technologies. We intend to make this tech open source and would hope to scale the technology with industry partners, so others—including our competitors—can use it. 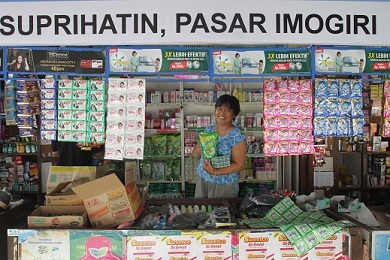 Unilever will open a pilot plant in Indonesia later this year to test the long-term commercial viability of the technology. Indonesia is a critical country in which to tackle waste, producing 64m tonnes every year, with 1.3m tonnes ending up in the ocean. Sustainable options for plastics and packaging will be found at the Advanced Design & Manufacturing (ADM) Expo Toronto where PACKEX, PLAST-EX, Automation Technology Expo (ATX), Design & Manufacturing and Powder & Bulk Solids (PBS) will be held May 16-18 in Canada. For more information, visit ADMtoronto.com . To tackle the industry-wide sachet waste issue, Unilever is looking to create a sustainable system change by setting up waste collection schemes to channel the sachets to be recycled. Currently Unilever is testing this by working with local waste banks, governments and retailers and will look to empower waste pickers, integrate them into the mainstream economy and to provide a potential long-term income, generating wider growth in the economy. This announcement is part of Unilever’s pledge to ensure all of its plastic packaging is fully reusable, recyclable or compostable by 2025. Unilever had already committed to reducing the weight of its packaging by one-third by 2020 and increasing the use of recycled.